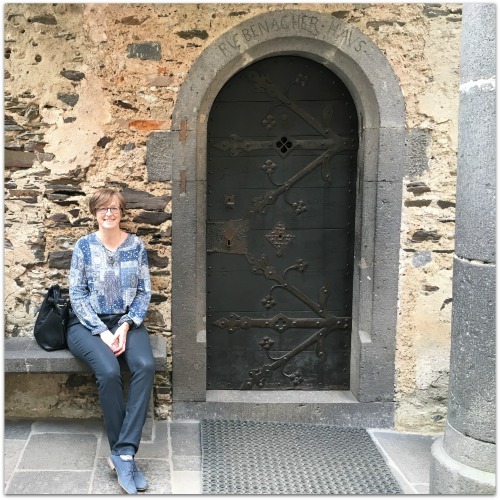 Opening Doors in Brick Walls is the result of a 25-year journey from hobby genealogist to taking the leap and becoming a genealogy blogger. The journey began in 1992 when Cathy received a package with information on her American families. She began visiting town halls in Luxembourg gathering marriage records for each generation of her children’s Luxembourgish ancestry which makes up three-quarters of their family tree. In 2000 the internet changed the focus of her research from Luxembourg to her American ancestors. Our Meder-Dempsey Family was uploaded to RootsWeb’s WorldConnect Project on 6 December 2002 and was renamed Opening Doors in Brick Walls in October 2011. On 2 December 2012, Opening Doors in Brick Walls joined Facebook! It was a new way to share the progress and new breakthroughs being made in the family tree. The plan – to unlock the doors and give them a push if they were stuck! Opening Doors in Brick Walls is a digital stepping stone to share and preserve her family history research. 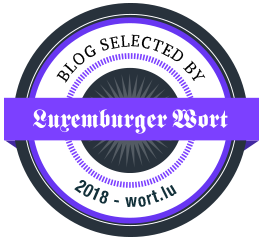 Cathy has been blogging since January 2014, sharing weekly posts on American and European ancestors, telling the stories using documentation and photos, with the focus on her families in Luxembourg and USA. As a member of Luxracines, she has written several blog posts about the genealogy excursions taken with the club. She is especially proud of her three-part post on an ancestor’s slaves as it prompted the creation of the Slave Name Roll Project which has been well received by descendants of slaves and allows descendants of slave owners to share, without shame or judgment, the documents they find with names of slaves. While writing her weekly series, Old Photographs Saved From Trash Can, she has learned about early photography and made contact with descendants of the persons featured. Raised as a military brat, she’s lived in Georgia, France, Idaho, West Virginia, Spain, South Carolina, Texas, and Luxembourg. Forty years ago, she married the man who became her best friend, photographer, coach, and father of their two grown children. When not researching, she and her husband spend time riding their racing bikes through the wonderful countryside of Luxembourg and surrounding countries. They also enjoy taking pictures of old doors seen in their travels, which gave Cathy the idea for the name of her blog. Feel free to post comments here or on any posts of interest, get in touch by email at openingdoorsinbrickwalls @ pt.lu, or by message or post to Cathy’s Facebook page. One last thing before you go…. Please follow on Facebook, Twitter, and Pinterest by clicking on the buttons in the sidebar at right. Cathy – I stumbled into your blog this morning while running a google search once again for my Dains ancestors. Your RootsWeb page led me hear. I couldn’t be more appreciative of the name of your blog and I’m enjoying the posts as I read them. One brick wall for years has been Lydia Dains (Danes, Daines) born between 1790 and 1800 in Pennsylvania. She married Denton Adams and lived in Greene County and Washington County and Fayette County with two of her married daughters. Lydia was a white woman who married a man of color. She is always listed as white in the census and her children, while living in Pennsylvania are always listed as mulatto. The only reference of her maiden name is on her daughter’s death certificate found in Washington County PA. I believe Lydia was disowned by her family when she married Denton Adams. I find no reference to any connection to any Dains family. It is my understanding that there was one Dains family that lived in Washington and Greene Counties and that they were descended from an Ebenezer Dains that moved into Ohio. In 1820 the citizens of Greene County petitioned the state of Pennsylvania to outlaw interracial marriages. More than half of the mixed families in the 1820 census in Greene County carry my surnames. Denton Adams was in court along with other family members in 1821 charged with “a Riot”. No transcripts exist, only the docket for the court. I firmly believe the rioting was connected to the interracial marriages. Each of my ancestors charged had a white wife or a white mother. I was excited to read on your tree pages about Lewis Martin and Elizabeth Dains. My Adams family has a connection to the Roop family. Silas Roupe (Roop, Roup) b 1823 Greene County PA son of Michael Roup and Anna Mari Matter married Mariah Eleanor Adams daughter of Archibald H. Adams. The Adams men were Free Persons of Color and some married white women. Silas is one of two Caucasian men that I have found married into the Adams family prior to their crossing the color line. I’m off to my office for the day but will come back and read the rest of your wonderful blog. If you can point me in any direction about where to find the family of Lydia Dains I would be thrilled. Lydia died in 1891 in Greene County PA at the home of her son-in-law Elmer Grinage. The Grinage family is also a family of color. Her obit states that her family believed her to be between 90 and 100 years old at the time of her death but had lost track of her birth years. WOW! Thank you! Love that you are enjoying my blog. This is a new adventure for me. Let me read through your message again and take a look at what I might have. I’ll get back to you. Jeanette, If you mean either the Stambach or Rupp family I would be interested in hearing how your “nice lady” made the connection back to Switzerland. In May/June 2013 I spent hours going through the church books of Steinseltz and was able to correct mistakes made earlier by a person who could not decipher the old handwriting or did not look at all the Rupp individuals. Although I have traced three generations back in Steinseltz (Alsace) I have not found earlier records pre-1685. I have NOT worked on the Stambach family but did locate the 1768 death record of Maria Barbara Stambach and the 1725 death record of her father Johann Jacob Stambach. While using google to search my own database for something on Lydia Dains, I found several of your postings on the Adams and Wilson families. I don’t envy you the convulted relationships that you found in your family tree. My connection to Silas Roupe is his great-grandfather Johann Jacob RUPP, my 6xgreat-grandfather and 1752 immigrant, and father of descendants with the name spelled RUPE, ROOP, ROUP, ROOPE, ROUPE, RUPPE. Love your blog! I am Henry Ruppe’s great-great-great grandson. Thank you for taking the time to post a comment cousin! I have at least 4 Jason Ruppes listed in my database. Are you Jason Travis? Hi Cathy, i was doing some research on my grandparents from Long Branch West Virginia. I think I found them, Burl Mullins and Matilda Tyree. I see you updated Burl’s page very recently. I was wondering if you are related or ???. My mother always said grandma was Irish, but I researched her last name and it turns out she was Scottish. Burl, if it is the right man, was Eastern Band Cherokee, or part. Anyways, great work and fun! I’m not related to Burl Mullins, Matilda Tyree, or his 2nd wife Carolyn Symantha Manley. I often get queries from people who ask about this or that person in my database and I will look into them and end up adding information from census or vital records. In this case one of Carolyn’s brother’s wife’s lines goes back to my Ingram line and a Dempsey line that may be connected to mine. You can get in touch with me at meder-dempsey at pt.lu. Cathy – you’re blog is new to me and I’m happy to have found it. Well, you found me first, but I’m glad you did. What a great name for a blog. What a diverse life journey you have had so far. I am another door photo collector. I began when we took our first trip to Europe in 2000 and have continued. I even have a Pinterest board dedicated to doors. Good for you that you stayed home and raised your children. That is a reward you will carry with you for life. Diane, so kind of you to take the time to post to my About page. Another door photo collector – yes Europe can do that to you! I’ll have to take a look at your Pinterest board. Might be a good reason to sign up there. Thank you! Hello Frank! Thank you so much for getting in touch. I haven’t done much research on the Stumbach family since the line goes all the way back to when Johann Jacob Stambach’s (d. 1725) daughter Maria Barbara (b. 1705) married Johannes Nonnenmacher in 1721. I believe that I do have Ray Grove’s Stambaugh Tree of Life saved to my tree for reference. Let me know which photos you would like to use (meder-dempsey at pt dot lu) and I will add the copyright and send them to you. Thanks for the link, John. We visited the town but the museum was closed at the time. I have a question.. Not on the Rupe family this time. Yea!!. Researching John Gambs b. 1820-1898 on a record it has he was born in Rimling, France, another record had Hesse Garmstadt, Germany. The question are they close to each other so he could have just left from France? Cathy, I cannot find a place called Garmstadt. Most likely this is supposed to be Darmstadt which is 175km (2 hour drive) from Rimling, France, which is very close to the present-day German border. I thank you for the service of your family. Your blog seems very interesting, it is a pleasure to meet you. Thank you GP for stopping by. Will be taking a look at your blog Pacific Paratrooper in the days to come. That would be very nice of you. Thanks so much for your kind words. I have no problem with you sharing my blog and will be checking out your web site too. Not sure why it won’t let word press work but I will check into that. How are you related to Levina Doss is she a gggmother??? I come through her brother Phillip Valorius Doss who was my 3rd great-grandfather. Levina DOSS was my 4th great-grandmother. I descend through her daughter Mary E. “Polly” DOSS who had a relationship with William CLONCH. They never married but had 8 children. I wrote posts on both of them this year. Thank you for allowing me to share your blog and blogpost. I will be reading those post for sure. I am listed as Vickie Beard Thompson on Facebook I just sent you a friend request. Nice to meet you, Cuz. And I accepted! Nice to meet you too Cuz. Many thanks for the blog follow. You have an amazing blog! Such excellent detail and so thorough. My ADD has me dancing around too much! Thank you for taking the time to stop by and comment. Appreciate your praise and thanks for following mine. Happy New Year. I found you off of several links from “roots web”, in particular when I was searching the PETERS line of Raleigh/Boone County, WV. Just wondering how you found all of your information, as before today I knew next to nothing of my extended family. You were able to trace back from my great grandfather (Elbert) to several fathers before him. It’s amazing how finding something of the past can open doors! Thank you so much for all you do. Thank you for stopping by and leaving a comment. I did not trace “back” from your great-grandfather Elbert. I traced forward from Jordan N. PETERS, following up on his children, grandchildren, through each generation of descendants. I have 3 Elbert Peters so cannot tell which line you are from. 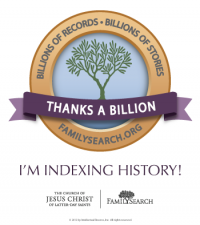 I had a lot of help from several other PETERS researchers but most of the information came from census records, West Virginia vital records at http://www.wvculture.org and http://www.familysearch.org. If you have any questions or need help don’t hesitate to contact me at the email above or through a message on my Facebook page. I came across your Opening Doors in Brick Walls tree on Rootsweb and that lead me here. I was wondering if you could help me out. I’m researching the last name Goins (my Dad’s side) and i came across a possible connection to your tree. My 4xGreat Grandfather (Winston Goins) was married to a woman named Julia and they lived in Floyd County, Virginia. Their daughter Sarah E. passed away at the age of five in Floyd. GOING, Sarah E. 12-28 Tifoid fever 5 yrs. 3 mos. 27 days Winston W. & Julia R. Floyd Patrick H.
I saw the Patrick H. and then the Loving Grandfather which didn’t make sense with all the entries. So I figured that was his last name. I googled the name and Floyd county and came across your tree. Just wanted to find out if you ever came across the name Goins/Goings/Goynes/Gaines (so many different spellings) in your research. My Gowing/Going line was in Amherst County, Virginia. Your finding the death record of Sarah E. Going, granddaughter of Patrick H. Loving (also seen as Loven) suggests Julia R. may be a daughter of Patrick. One of my Ingram cousins descends from the Loving line and will be so happy to hear about this possible new connection. I’ll be in touch per email. My father passed away recently and caused me to look into my family tree. I am continually referred to your website and it appears we are related but not sure how. My latest research on Nancy Ann Sims and Amy Nelson 1757 again directed me to your website and compelled me to write you a note to say hello. My name is Michael Godby son of Charles Anderson Godby Jr and Lillian Delores (Ingram) Godby. Hope all is well and I am amazed by all of your research. Mike, so sorry to hear of the recent death of your father Charles Anderson Godby, Jr.
No surprise that you keep coming back to my blog. We are 4th cousins through Robert INGRAM and Huldah JOHNSON; 6th cousins through William JOHNSON Sr. and Amy NELSON and through James SIMS and Phebe [–?–] SIMS. Thank you for taking the time to post a comment. You’re welcome and I hope you enjoy all my research and writing. Hi I followed a link to your site. I was looking for Data Sergeant Thomas Edward Love At. I haven’t found him on your site yet. He posed for the doughboy statute that Sood at the Berlin brigade headquarters. Did you write about him? I have a little to add to his story. I´m a Brazilian doing a research about my ancestrals and I need a little help from you. I’m looking for the passport from those ancestralls but I don’t know where to find them. I´ve tried contacting the Luxembourg national archive but they only had passports from 1861 or older. We know that they came to Brazil in 1862. Do you have any idea where we could find them? I do not know if they issued passports for people emigrating in the 1860s. There is a collection of records which was kept by the commune with entries for when a person left or came to live in there. This is something which is still done today as people need to register with the commune they live in. I have not personally seen the older records, however, I know Rob Deltgen has used them for the town of Diekirch. I believe he consulted them at the town hall of Diekirch. I would have to ask him what they are called. The National Archives of Luxembourg are adding new digital collections online and hopefully, collections for people who emigrated will be available. This is an area I have not looked into as my maternal ancestors have all remained in Luxembourg.